So, you’ve submitted an application – What Happens Next? 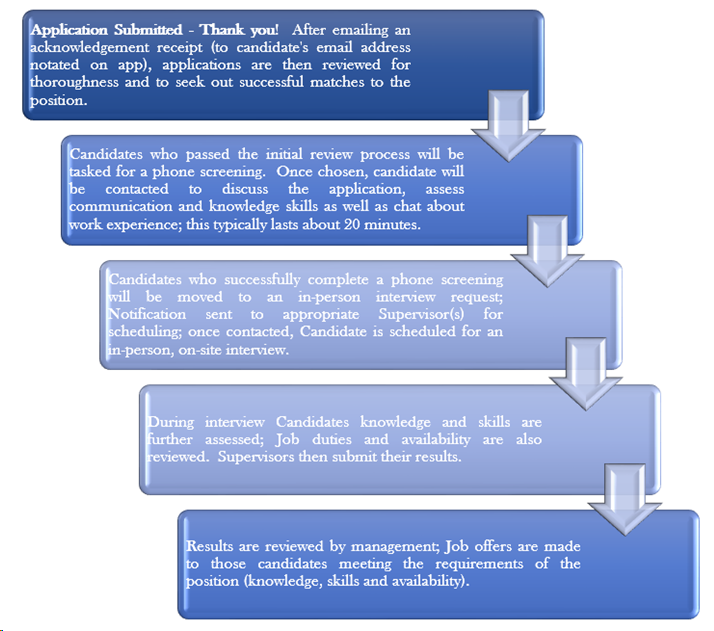 Below is a brief outline of what happens to an application once it’s been submitted. If at any time an application doesn’t move on to the next process, email notification will be sent to the email address of record. Be sure to check your email address for notifications, or to submit any changes to your information (i.e. telephone number).